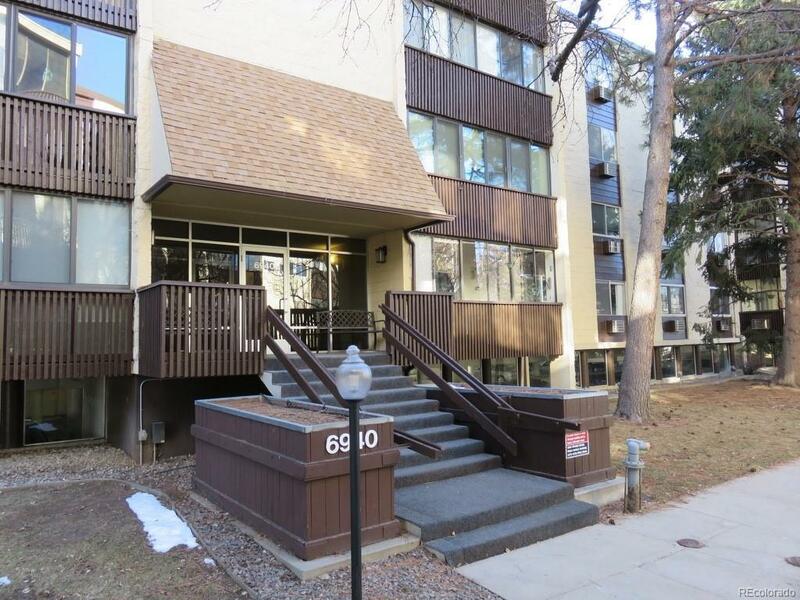 MLS#: 5431868 - Courtesy of Brokers Guild-Cherry Creek Ltd.
Penthouse level end unit newly remodeled! New white shaker cabinets with quartz counters and stainless steel appliances. New flooring, new paint, new doors, and fixtures. Bedroom windows and slider to the enclosed patio are less than a year old. 1 reserved parking space in the garage and separate storage space are included with this unit. The community offers indoor and outdoor pools, an amazing community clubhouse with pool tables and exercise room! Heat is included n the HOA fee! Just move in and enjoy all of the amenities Morningside has to offer!